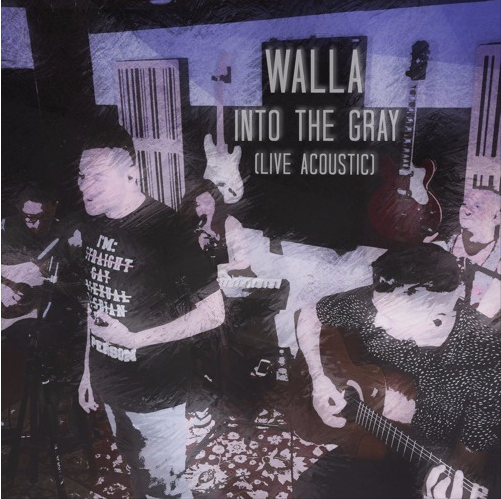 Los Angeles band, WALLA, debuts their new single ‘Into The Gray.’ The band, comprised of Jean Marc Tardieu (Lead Vocals), Ian Charlie (Lead Guitar), Mauricio “Moebeats” Carcamo (Bass Guitar), Alessio Balsemin (Drums); have crafted a unique mix of indie pop infused with soul and a sprinkle of positivity. ‘Into The Gray’ was inspired by the instinctive need for human connection, and despite the differences and backgrounds, coming together to connect and engage can save us from the loneliness of the digital age. Jean Marc’s soulful vocals are at their best on this track, capturing the emotional magnitude of the message with his deep rasp and introspective demeanor. The quartet’s aim is to create music that promotes escapism, pulling people away from the chaos of today’s world. Their single ‘101’ has almost 30 million plays on Spotify and the band has been featured on Billboard, MTV Buzzworthy, Nylon, and Snapchat. Released in the summer, their EP ‘Body Language’ is a collection of tracks that encompasses the cultural backgrounds and influences the band makes up with their own diverse backgrounds, from the Caribbean to Italy to Indonesia – and Los Angeles.